Now I'm not gonna lie, beauty gift guides are by far my favourite posts to read at this time of year. Seeing all the amazing sets, and new releases gets me so excited to go christmas shopping! Not only that, but it gives me some great ideas to add to my own wishlist. 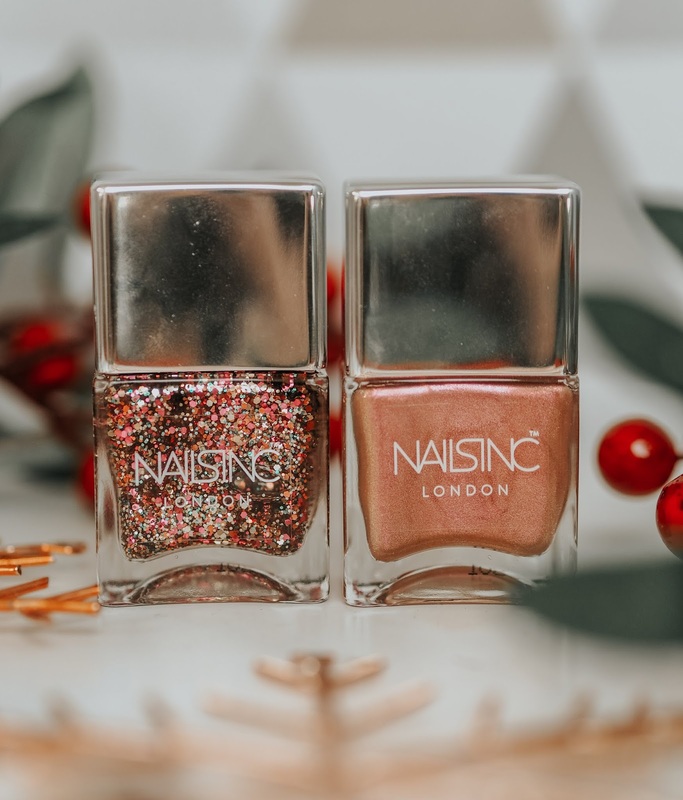 So with that being said, here are some of my favourite christmas beauty picks of this year. I decided to not include any makeup releases as I honestly couldn't narrow it all down, there are soooo many new brands and products to pick from this year! Kicking things off with a brand I'm a huge fan of, L'Occitane. 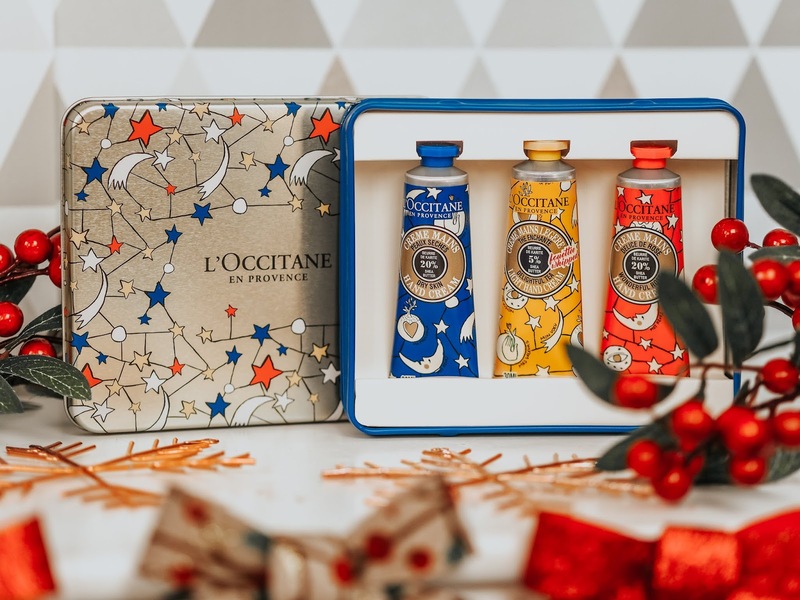 Whenever I'm looking for a high end, luxurious beauty gift, I always head over to the L'Occitane website. They have such a great range of gift sets which cover all price points, so don't worry if you're on a budget! This year, their Christmas collection has been redesigned with a CASTELBAJAC Paris spin. The starry pop art packaging this year is to die for! One of my favourite sets this year is the CASTELBAJAC Hand Cream Trio, which is a gorgeous little tin containing 3 x 30ml hand creams in Shea Butter, Delightful Tea and Wonderful Rose - perfect to pop in your handbag! 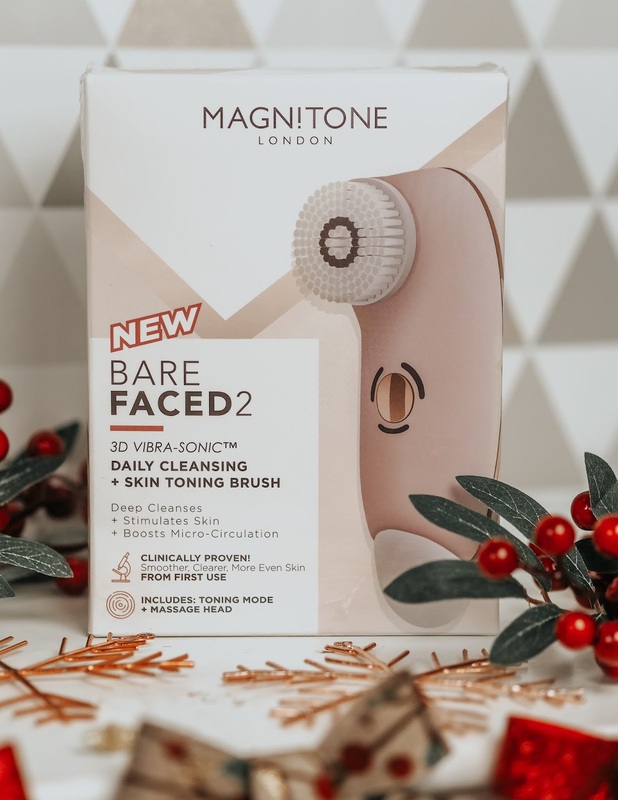 Another brand I'm a huge dan of is Magnitone, and I'm so excited about the launch of their new Magnitone Bared Faced 2 Brush which I'm far too excited about! Available in either Pink or White, this handy little brush is perfectly tailored for all your skincare needs. 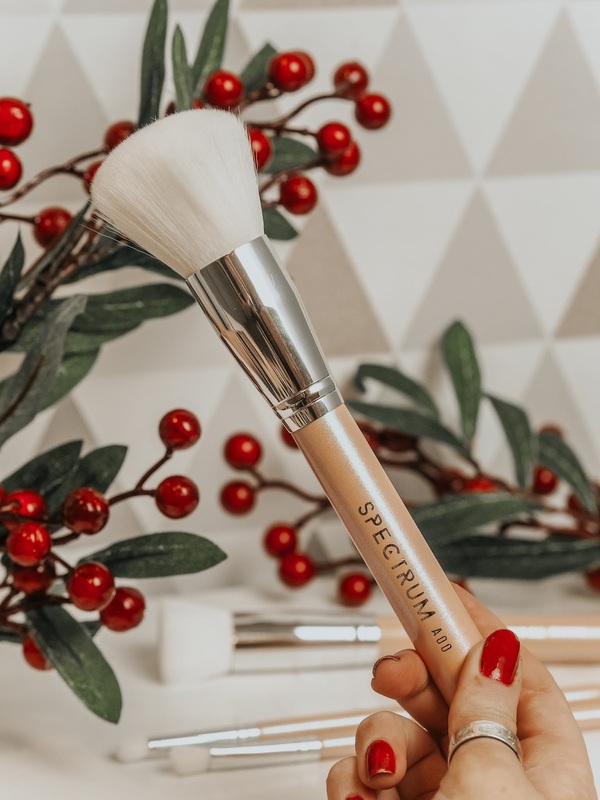 The brush comes with two interchangeable heads for the ultimate cleansing and toning experience, and has three different modes to personalise for your skin type. As I said, I'm a huge Magnitone fan, and can't recommend this enough. Yes it's a little pricey, buuuut I truly believe skincare is the one thing worth investing in. A brand that is fairly new to me is Seoulista Beauty, who specialise in skincare (particularly face masks) which is inspired by Korean beauty. 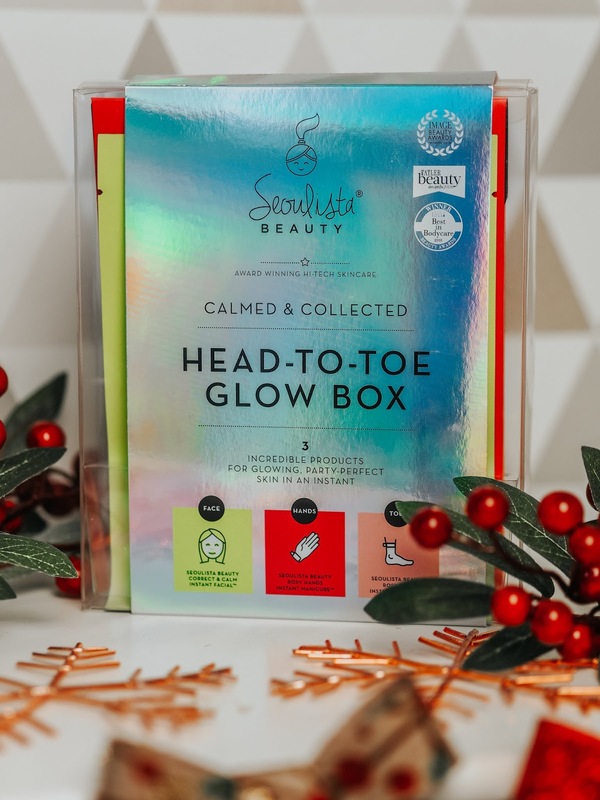 This year they have released their Head-To-Toe Glow boxes, which each contain one of their Instant Facial masks, an Instant Pedicure, and Instant Manicure. 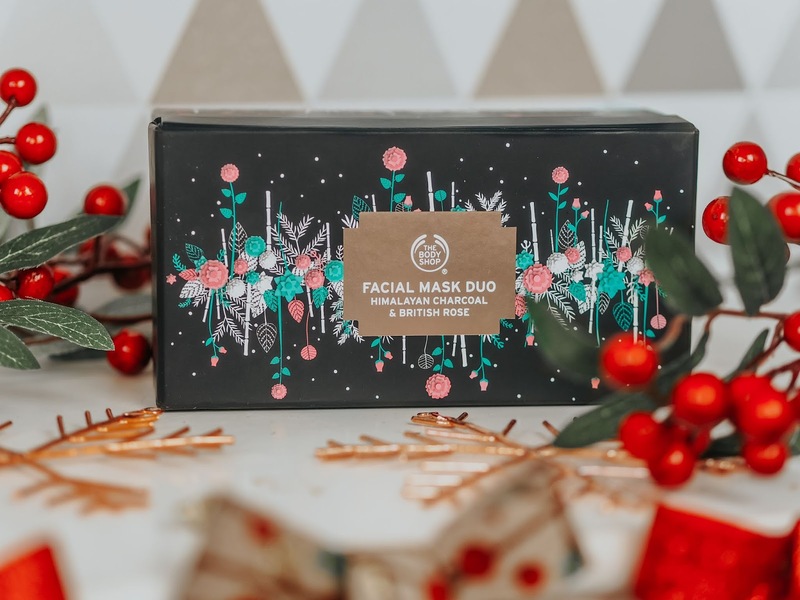 Each kit is handpicked to suit your skincare needs, which means you'll find a different set of masks in each, depending on which kit you choose. I opted for their Calm & Collected Glow Box for the ultimate pamper night! I think, by far my most favourite christmas gifts this year have come from The Body Shop. We all know how bloody incredible their products are, but I think they've absolutely nailed their whole Christmas range with the Enchanted By Nature theme. 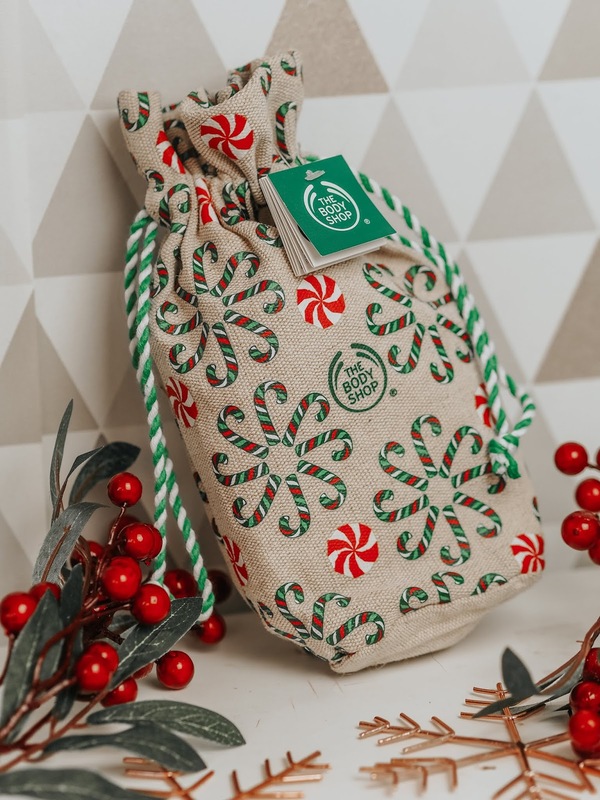 The first bargain of a set I have to show is the Festive Sack of Peppermint, which as you probably guess comes in the cutest little santa sack! Now I opted for the peppermint scent, but it also comes in Berry Bon Bon and Vanilla Marshmallow! For only £18 you get a Shower Gel, Body Scrub, Body Butter and a Hand Cream. This would make a fantastic 'starter kit' for anyone who's new to The Body Shop's products! 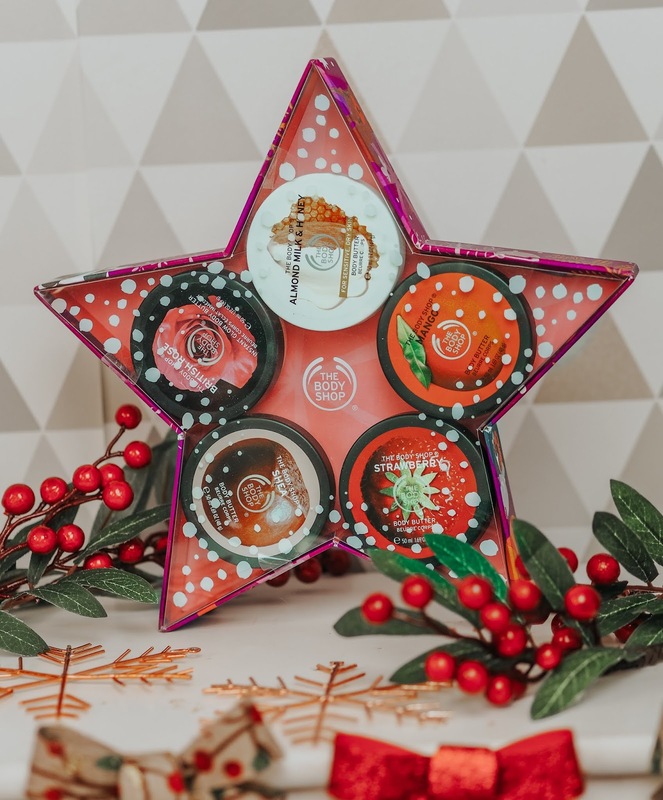 The next gift set from The Body Shop is probably something you've already seen my mention on Instagram - the Body Butter Stars of the Forrest set. This might actually be my favourite christmas release on this list! This novelty star contains five of their iconic body butters in the scents Almond Milk & Honey, Mango, Strawberry, Shea and British Rose. There's a reason their body butters are immensely popular, they are fantastic for keeping your skin hydrated, and smelling sooooo good! And finally, we have the Finest Facial Mask Duo (this is my final set from TBS, promise!) 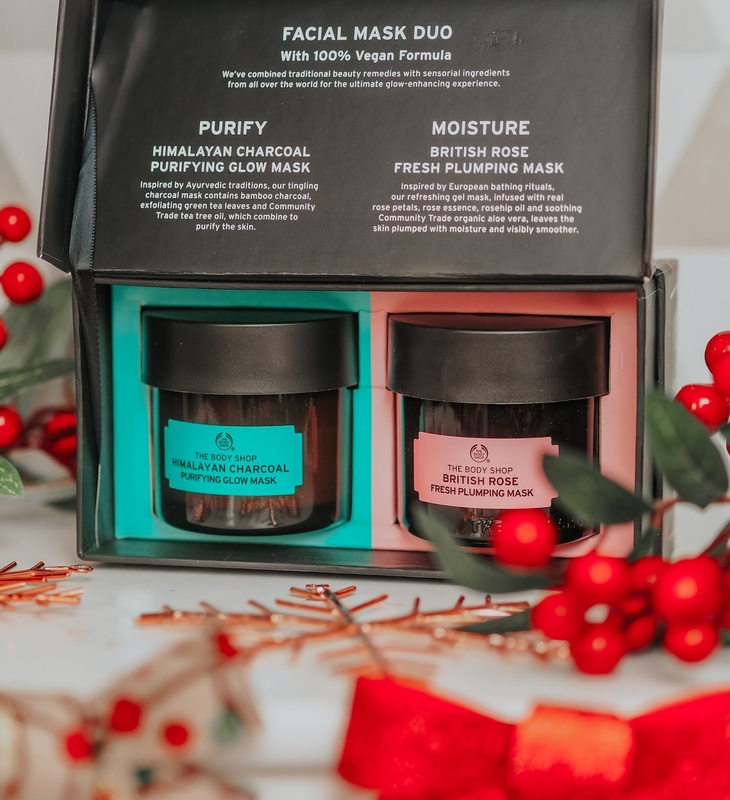 In this set you'll find two of their highly rated face masks, the first being their Himalayan Charcoal Purifying Mask, and the second, their British Rose Plumping Mask. This particular set is more in the pricier end of the scale, buuut I do consider their face masks more of a luxury as they do have a high retail price in comparison to their other products. If you're looking to treat someone to the ultimate pamper night, this is the perfect choice! 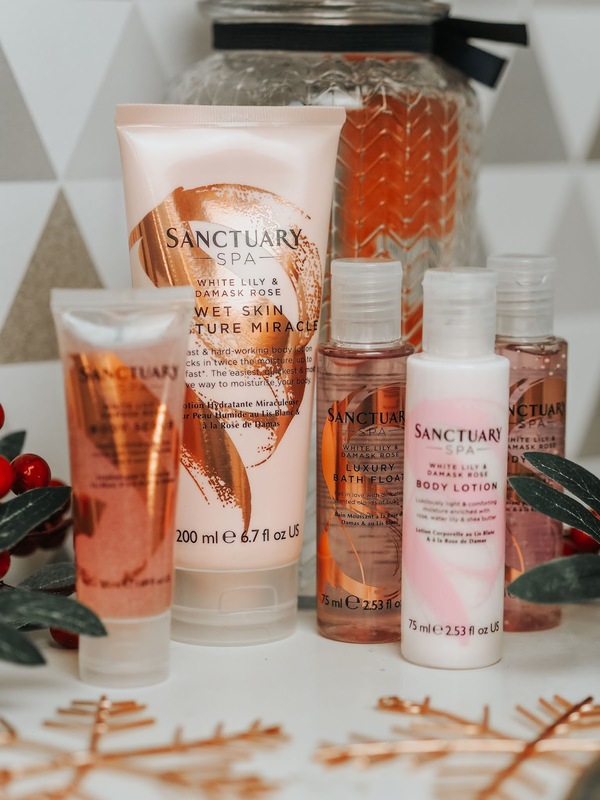 Sanctuary Spa have well and truly spoiled us this year with their Christmas releases, and this amazing gift set is just one of many! Their Rosy Delights set comes in a rose gold jar which would actually be great to reuse as a decorative storage piece. In this jar you'll find five of their bodycare products from the White Lily & Damask Rose range. From body scrubs, to bath floats, this set has it all making it super convenient! It even contains a 200ml tube of their highly rated Wet Skin Moisture Miracle. For only £18 this is great value for money, as you're sort of getting a 2 for 1 with the jar! For the lovely ladies who want to add a bit of shine and wow back into their hair, the Soft & Silky Superstars Set from Percy & Reed would make a fantastic gift! This set is specifically designed for those with thick, dry or course hair with the aim of making it silky smooth and luxurious. In this set you'll find the Splendidly Silky Moisturising Shampoo and Conditioner, alongside their Sealed and Sensational No Oil Oil for Thick Hair. Hands down, my favourite product has to be the No Oil Oil! It's perfect to use on wet or dry hair to deeply nourish and repair your hair. All these amazing goodies have a retail value of £47, so at only £30 for the set, you're getting such a great bargain! 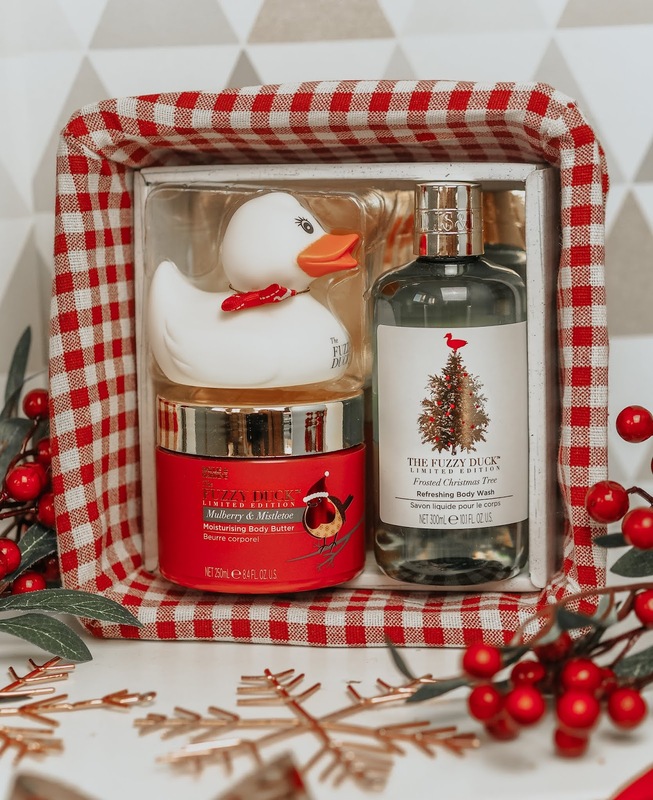 Speaking of 2 for 1 gifts, this Fuzzy Duck Winter Wonderland set from Baylis & Harding also has an added little extra as well as the products! Your products come in a cute little gingham lined wicker basket, which again would be fantastic for storage, or as a decorative piece. 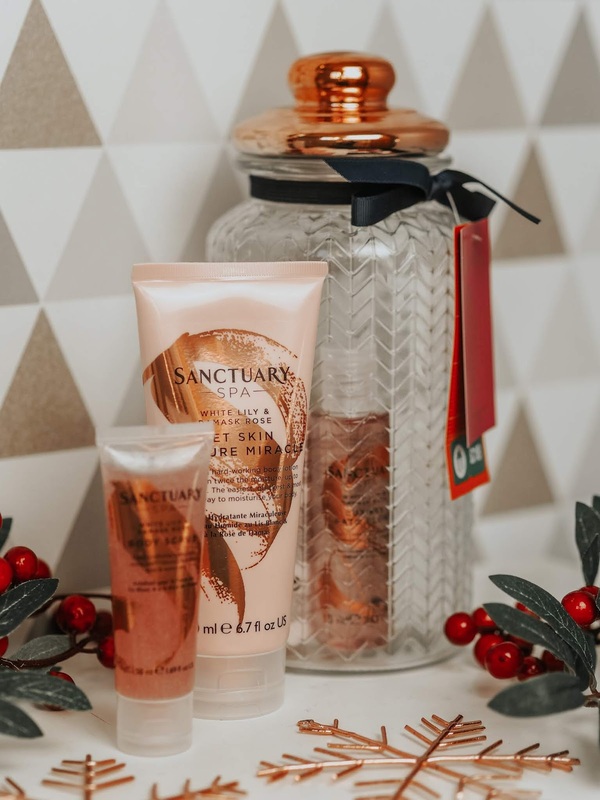 In this basket you'll find a Body Wash in the scent Frosted Christmas Tree, a Body Butter in the scent Mulberry & Mistletoe, and a fun little novelty duck for your bubble bath!I can't explain how nice these products smell, especially the body butter, it's incredible! Another brilliant, and affordable gift set from Baylis & Harding here! 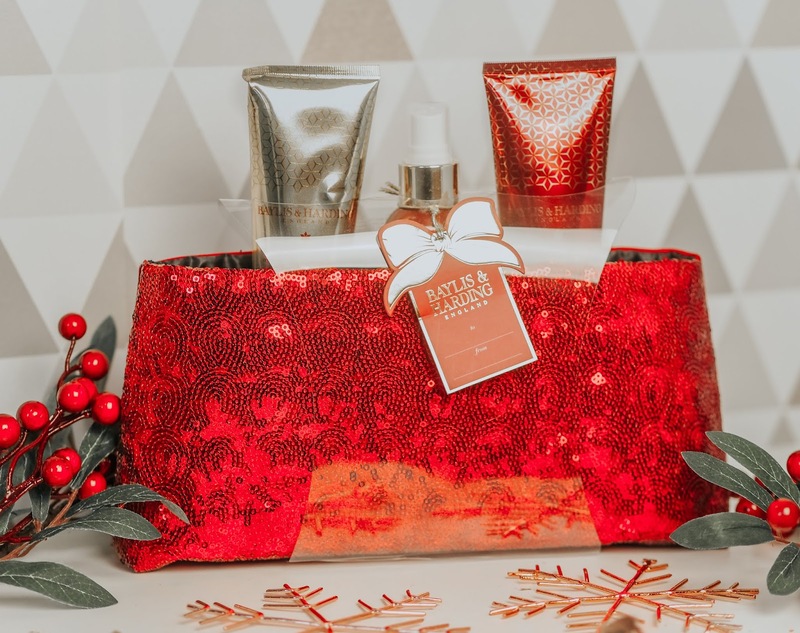 The final set I've got from Baylis & Harding to show you is there Midnight Fig & Pomegranate Set which comes in a red sequin clutch bag - perfect for a glitzy christmas! In the clutch bag, you'll find a Shower Gel, Body Lotion and Body Spritz all in the Midnight Fig & Pomegranate. I've actually been spraying the Body Spritz around my home as I love the fragrance that much! This particular set is currently on offer at £7.50, which is half price! That's a total bargain in my opinion, and if you're looking for a last minute gift that's not going to break the bank, but still has great quality products and design, this is a fab idea. 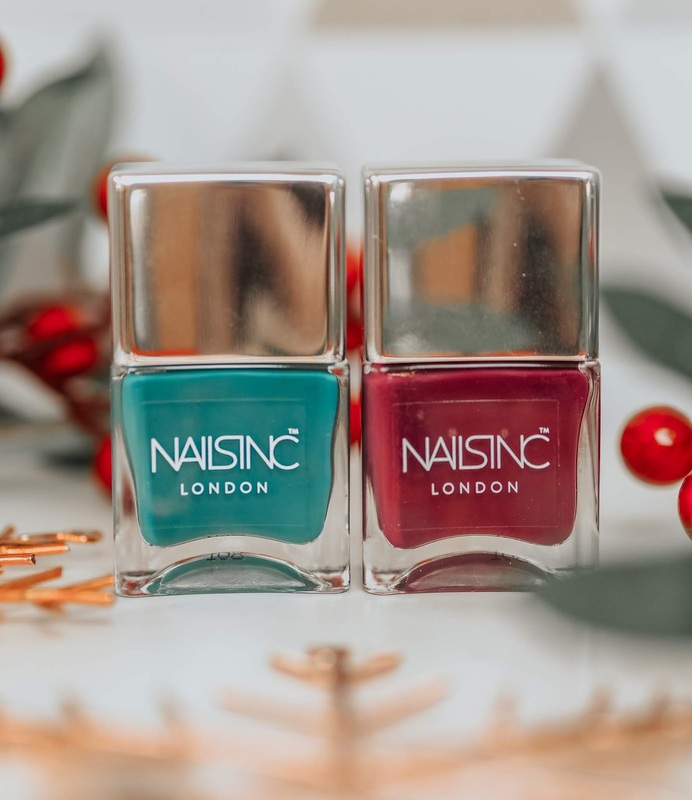 Moving on to some Nail products, I had to include a couple of sets from Nails Inc. When I'm not wearing falsies, and rocking the natural nails, I still like to have them painted. Hands down, my favourite nail polishes, are the Nails Inc ones. I find them so long lasting, which means no chips! 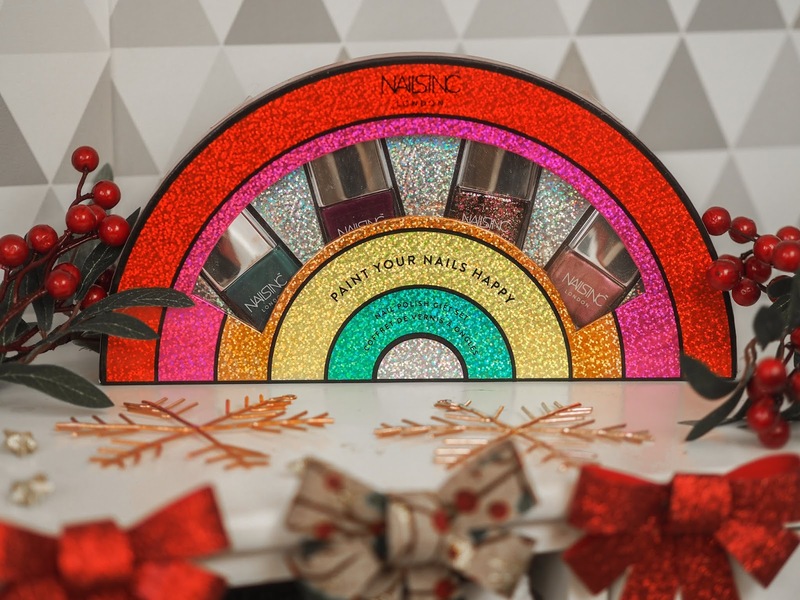 So, when I saw their new rainbow inspired christmas gift sets, I internally screamed! The Paint Your Nails Happy Set contains 4 beautiful limited edition polishes - 2 full coverage, one fine glitter, and one more sheer shimmer. And finally we have two STUNNING brush sets from Spectrum Collections. We all know Spectrum nail their brush sets, and get their designs, and marketing right every time, well this is no exception! 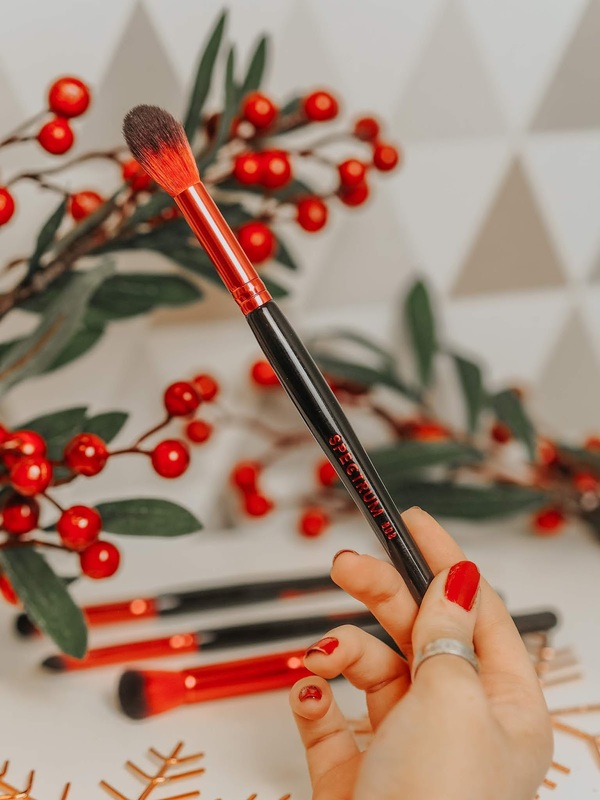 Their latest additions to their Disney collection are the Snow White ranges, which include the Bad Apple 12 Piece Brush Set, and the Mirror Mirror 10 Piece Brush Set. Both sets contains a mix of face, and eye brushes so they have everything you could possibly need to create a full face. And not to mention, they would look so gorgeous on your makeup vanity! And that bring my Beauty Gift Guide to an end! Honestly, beauty gift sets are the one ting I get so carried way with every year, simply because there are so many great ones on the market! As always though, I tried to list as many of my favourites as possible, which I think aren't too drastic in price or anything, after all we love a bargain! Which beauty gift set is your favourite? Those nails inc shades are utter perfection, so so beautiful! The magnitone is amazing! I'm in love with the way it makes my skin feel! These pictures are absolutely gorgeous! 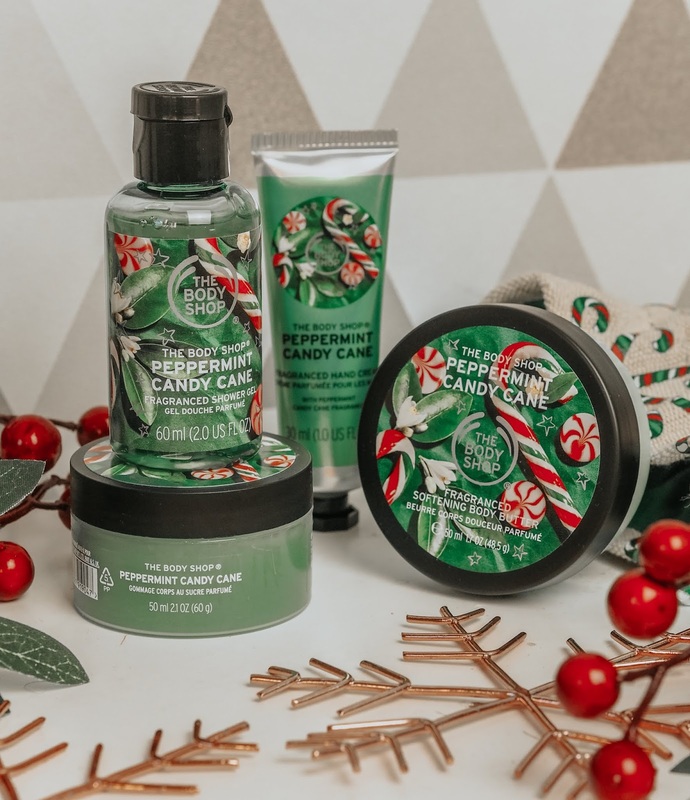 Also the Bodyshop Peppermint range sounds absolutely amazing! Hadn't even see it! Great post filled with great ideas, I love the toning & cleansing brush especially! 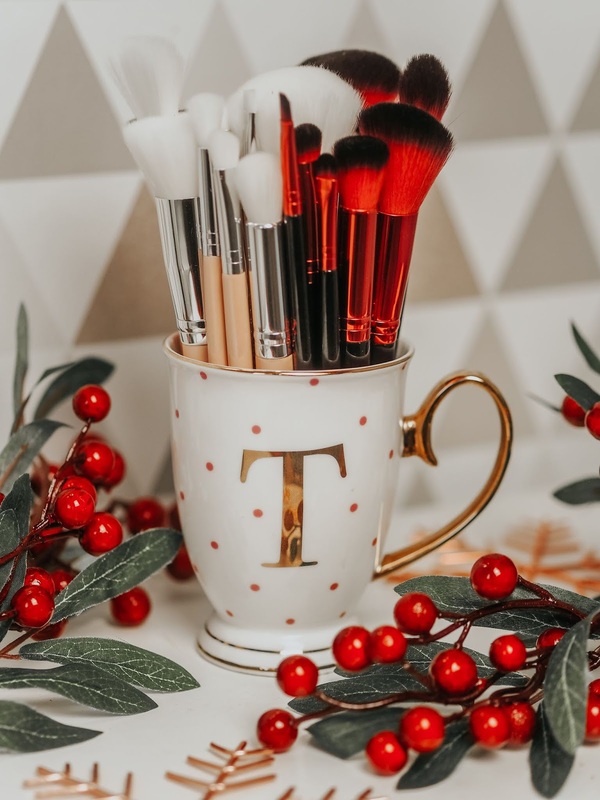 Spectacular pics and if I should choose only one gift from this list, I'd go with brushes because I do need new set, and they look fab! The photos with this post are so good! I love gifts from The Body Shop! I love the products you’ve included. I really want to try the magnitone face brush. I Love the idea of the box of masks, Im really into the foot masks.